I’ve always been a huge fan of beauty boxes since they first came on the scene about 5 years ago. 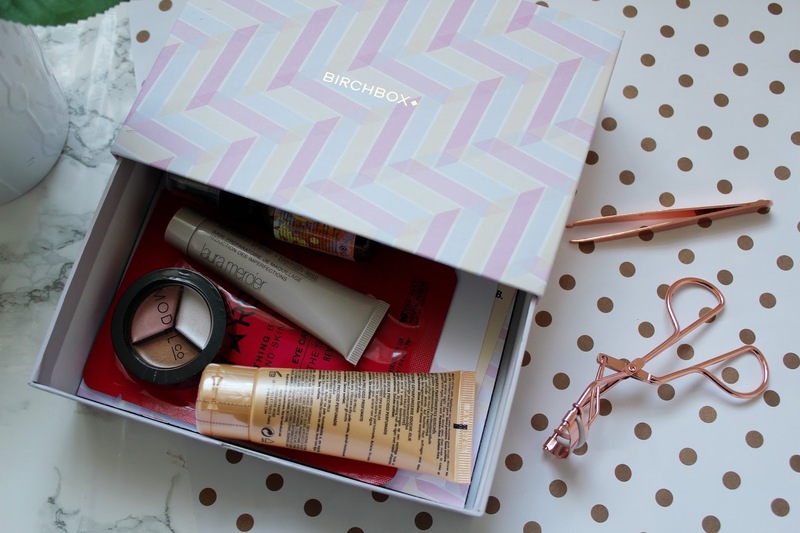 I absolutely love Birchbox and this month’s edition is a real favourite of mine. This months box includes goodies from Modelco, Laura Mercier, Nuxe, Amika Bombshell and Starskin. To have a Laura Mercier product in a beauty box is an absolute dream. 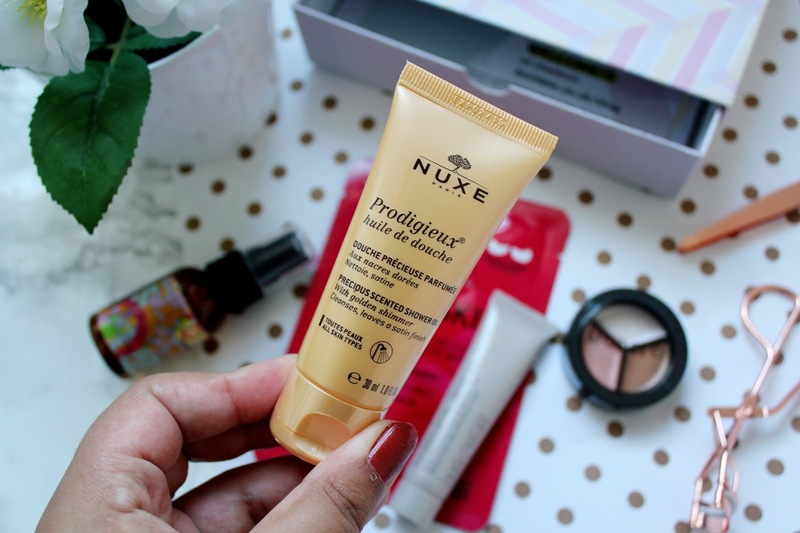 This is definitely my favourite product in this months box and I’m so impressed with it. Laura Mercier is one of the higher-end brands I’ve always wanted to try but never got round to trying. This primer helps to reduce blemishes, blur imperfections and reduce oiliness (for those of you which have oily skin). I really like using this with my Estee Lauder Double Wear foundation and it makes my skin feel so soft. It definitely blurs my imperfections and helps prolong how long my foundation lasts. If there is one sort of product I’m really liking at the moment it’s a cream product. I’ve loved using cream products lately as they help achieve a very natural look. 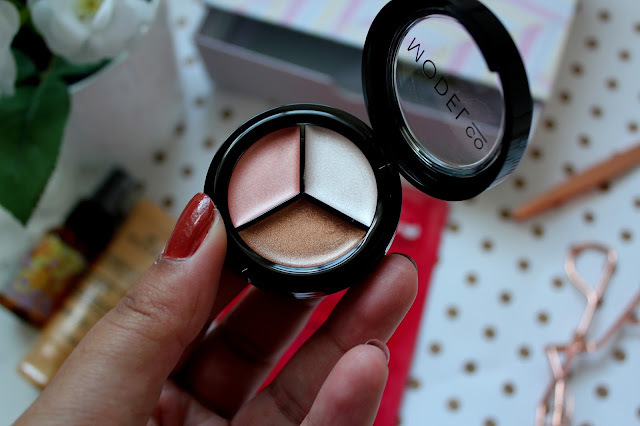 This trio of shades contain a peachy pink blush, pearlescent highlighter and a coppery bronzer. 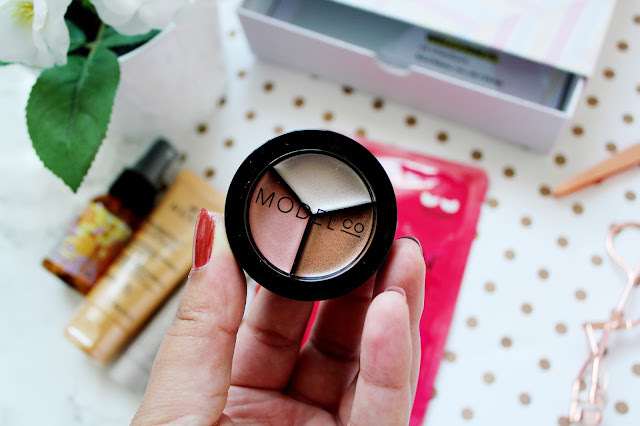 This is a great 3 in one product and it’s perfect if you’re someone (like me) who likes to carry a small make-up bag of must have products for on the go. 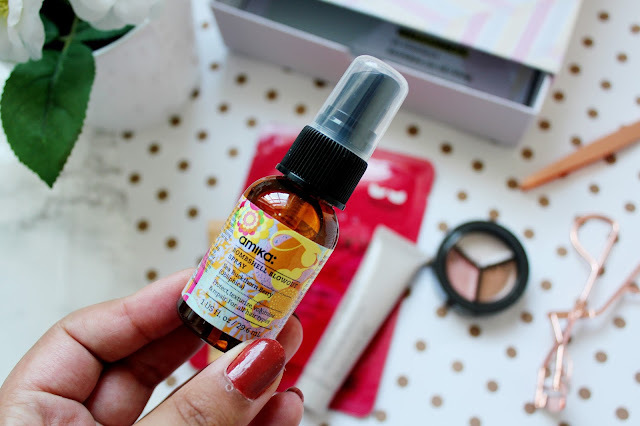 I’ve been a massive fan of hair products lately and this blow out spray has made its way into my hair care routine. What’s great about this spray is it works on both damp and dry hair and helps to protect, nourish and smooth your hair. Nuxe products have always really impressed me and this shower oil is no different. This shower oil cleanses my skin, it’s got a really nice fragrant to it and leaves my skin feeling silky smooth. When you’ve had a long and stressful week, there really is nothing better then a facemask. This mask helps give you the TLC you need when you have dark circles, puffiness and fine lines. This mask has been created for your delicate eye area and helps to brighten your eyes and make you look more wide awake. I left these on my eyes for about 15 minutes and the next day my eyes felt so refreshed! 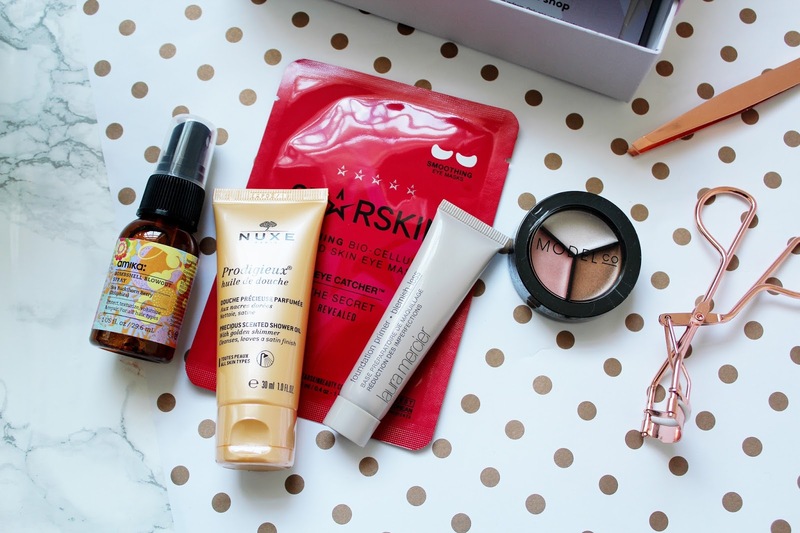 I absolutely love this months box and it’s been one of my favourite EVER Birchboxes. I really like the Starskin eye mask and I love the Laura Mercier primer. If you’re looking for an affordable treat for yourself this month, I’d 100% recommend picking this up for yourself! 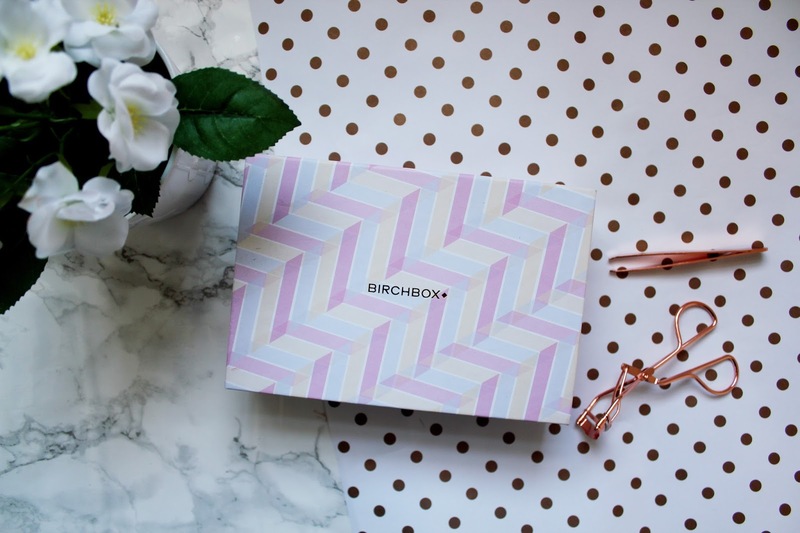 You can subscribe to Birchbox for only £10 a month plus £2.95 (P+P) here. 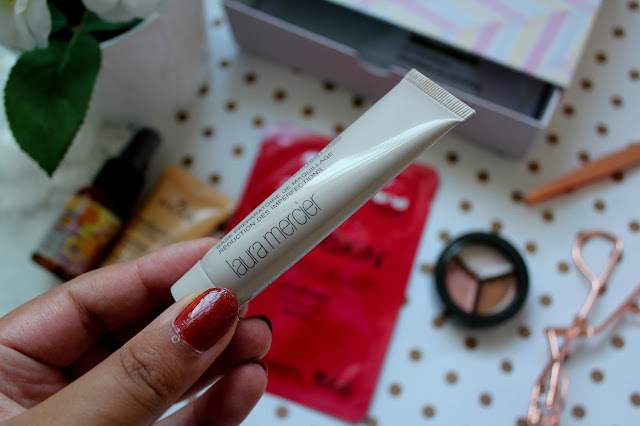 Oo I like the sound of the Laura Mercier primer! This months box looks lovely. The highlighting trio & the mask looks great! Will have to start signing up for the Birchbox.